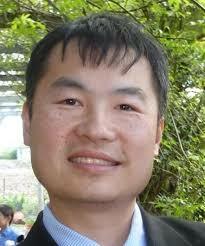 Dr Michael Wu is a vascular, endovascular and transplant surgeon. He has a subspecialty interest in dialysis surgery and renal transplantation. Dr Wu is dedicated to providing his patients with expert diagnoses, treatment and management of their conditions. Where appropriate, he is committed to using minimally invasive techniques. He is also dedicated to patient-focused care and to providing the time for his patients to fully understand their condition and the required treatment. Dr Wu is always happy to answer any questions patients may have. Dr Wu understands the importance of keeping referring doctors informed about their patients’ care. He will provide timely communication of any treatment plans. He is always happy to answer queries from GP’s and other health professionals. Dr Wu was born in Hong Kong. His family migrated to Australia when he was 8 years old and he completed his schooling in Tasmania. His initial passion was chemistry and this led him to study pharmacy and then medicine. Dr Wu completed his medical training at Flinders University in 2002. Dr Wu’s interest in vascular disease lead him to vascular and endovascular surgery. He has had extensive training in traditional and minimally invasive techniques in the management of arterial and venous disease. Whilst completing his vascular fellowship, he trained at Addenbrooke’s Hospital (Cambridge, UK), Royal North Shore Hospital (Sydney), Barwon Health (Geelong), Box Hill Hospital and Monash Health. He also completed extra training in renal access and renal transplant surgery. As part of his training, Dr Wu also undertook research in diabetic arterial disease. This research was partly funded by scholarships from the National Health and Medical Research Council of Australia (NHMRC) and the Royal Australasian College of Surgeons. Dr Wu received his Fellowship in Vascular Surgery from the Royal Australasian College of Surgeons in 2014. He has public appointments at Monash Medical Centre (Clayton), Footscray Hospital and Dandenong Hospital. He is currently the Supervisor of Vascular Training at Monash Health and was previously the Director of Interns at Monash Health.